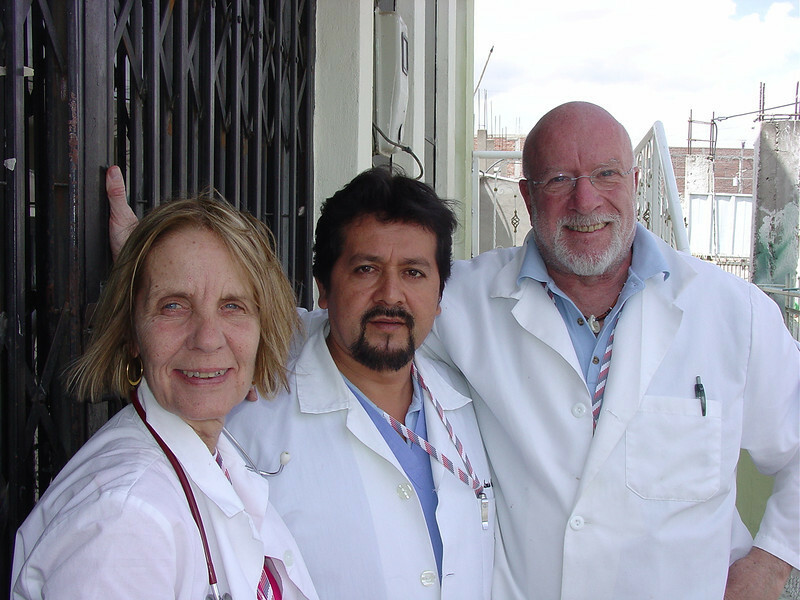 In January 2010, Dr. Rita Nenonen joined Ecuadorian dentist Dr. Lenin Garcia and our staff in the second medical brigade at our clinic. Over four days, hundreds of children were treated in dentistry and general medicine. Dr. Enrique Minta treated children as well as a large number of adult women. We also began doing routine vision screening for the children. The clinic had recently formed a relationship with a foundation called Vison For All in Riobamba which provides eye exams and glasses for only $30.00. Our visit included attending the baptism of David Guacho's great nephew, Abdiel, at the home of David's brother, Luis Guacho. On the following Monday, we spent an enjoyable day off with many of our volunteers visiting Banos, exploring caves and traveling to Rio Napo and the beginning of the Amazon rainforest in the Province of Tena. Great fun! Drs. Rita Nenonen, Lenin Garcia and Douglas Macko worked very hard for four days and treated hundreds of children. Thank you all!